Each morning, as the sun rises over the streets of Baghdad, the bodies appear--burned, slashed, drilled, sometimes handcuffed, and, as often as not, decapitated. Many are the victims of sectarian violence, but this depressingly familiar fate does not account for all of them. There are also the bodies of Iraqi liberals, U.S. Army translators, and others who were killed for their association with the Americans. Indeed, entire populations (Christians, Yezidis, and other non-Muslim groups) have been targeted for their support of the occupation--support imagined, as often as not, by their persecutors. For the sin (or simply the perception of the sin) of aiding the Americans, insurgents in Iraq slaughter fathers in front of their children, murder democracy activists in the streets, and hunt down Iraqis leaving the Green Zone. 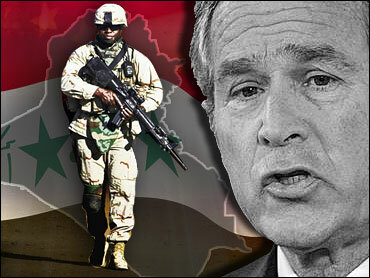 Washington has many debts still to pay in Iraq. But it has a special obligation to protect the tens of thousands of Iraqis who cast their lot with the Americans. Some of them are friends and associates of this magazine, and we are, to put it gently, tormented about what will become of them. There are Iraqi drivers and fixers who have disappeared--whether into hiding or graves, we do not know. There are human rights activists who have not been heard from. For years, we have worked with bright, young, and idealistic Iraqis who now, with the Iraqi Health Ministry reporting the country's 2006 civilian death toll at 22,950, desire nothing more than a visa to the United States--a reward they have no way of collecting. Even Iraqis who have made it to these shores--among them a U.S. Army interpreter medevaced to the United States after a roadside bomb shattered his body during a U.S. patrol--may soon be forcibly repatriated. Washington's response to all this? Even as hundreds of thousands flee Iraq, in 2005, the United States offered refuge to a paltry 200 Iraqi refugees. (See George Packer, "Save Whomever We Can," November 27, 2006.) The reasons for this are as convoluted as they are senseless. There is the U.N. referral system, designed to identify refugees in need but broken beyond repair. There are America's post-September 11 immigration restrictions, which treat endangered Iraqi Christians as if they were havoc-bent Islamist radicals. There is the indefensible policy of refusing to grant visas from the U.S. Embassy in Baghdad, forcing Iraqis in search of asylum to make perilous and expensive journeys to the embassy in Jordan instead. And, above all, there is the transparent fiction that Iraqis, now liberated, no longer endure systematic persecution: No Saddam, no problem. This conceit may comfort the sensibilities of the Bush administration, but the death toll in Baghdad points to a different truth. For years, the excuse that American officials have used to reject more liberal immigration laws is that terrorists will exploit them. But are we really incapable of distinguishing a translator who has risked his life--and the safety and well-being of his family--to serve U.S. forces from an insurgent? If so, we're in even more trouble than we think. Fortunately, under pressure from humanitarian organizations and the Baghdad press corps, American officials have pledged to revisit Washington's inscrutable immigration and asylum policies. Politicians like Senator Edward Kennedy and Representative Jan Schakowsky have been particularly tireless advocates of reform. If their efforts succeed, it won't be a moment too soon. That America's "decent interval" in Iraq will in all likelihood last for years and not months--loose talk about helicopters lifting off the embassy roof is, at best, premature--hardly diminishes the urgency of our Iraqi friends' plight. Baghdad may not be Saigon, but the pace of the killings justifies, at the very least, a stepped-up effort to extend asylum to Iraqis at risk and, equally important, to include their families in this category.